Ganesh And Laddu – The Story Why Ganesha Is Offered Ladoo? 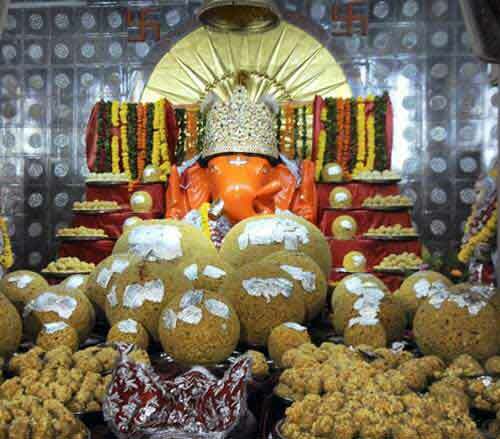 Laddu is an important offering to Lord Ganesha. But why is Ladoo offered to Ganesh. The story associated with Ganesh and Ladoo begins with Kubera, the treasure of Gods, trying to show off his wealth. Kuber once invited Shiva with the intention to show off his newly built palace made of gold. Shiva, who realized the arrogance of Kubera, offered to send his son, Ganesha, on the occasion. When Ganesha reached the palace, Kubera tried to show his precious things but he was not interested. He was only interested in the food. Kubera boasted that he had prepared dishes to serve thousands of guests. Soon Ganesh started relishing the food served. Soon all the cooked food was finished. But his hunger could not be satisfied. Ganesha then started eating the raw vegetables and other raw food in the kitchen. Soon the raw food got over. Ganesha then started eating the gold plates and gold utensils in the kitchen. Kubera was clueless. He realized that Ganesh would eat up all his wealth. Kubera then rushed to Shiva to tell him about the havoc caused by Ganesha. Shiva then gave Kuber a Ladoo prepared by Goddess Parvati and asked him to serve it to Ganesha. Kuber returned to the palace and served the Laddu. Ganesha was completely satisfied and left the palace. From that day onwards, devotees started serving ladoo to Ganesha to keep out troubles.